Even in the Fall the garden can be beautiful. Here in California, Fall comes late. The roses are still hanging in there and producing a few blooms. The hydrangeas are turning a lovely red and are perfect for drying. And the Japanese Maples are gorgeous with their red and gold leaves. It is hard to believe it is December here! The importance of garden structure really stands out now. 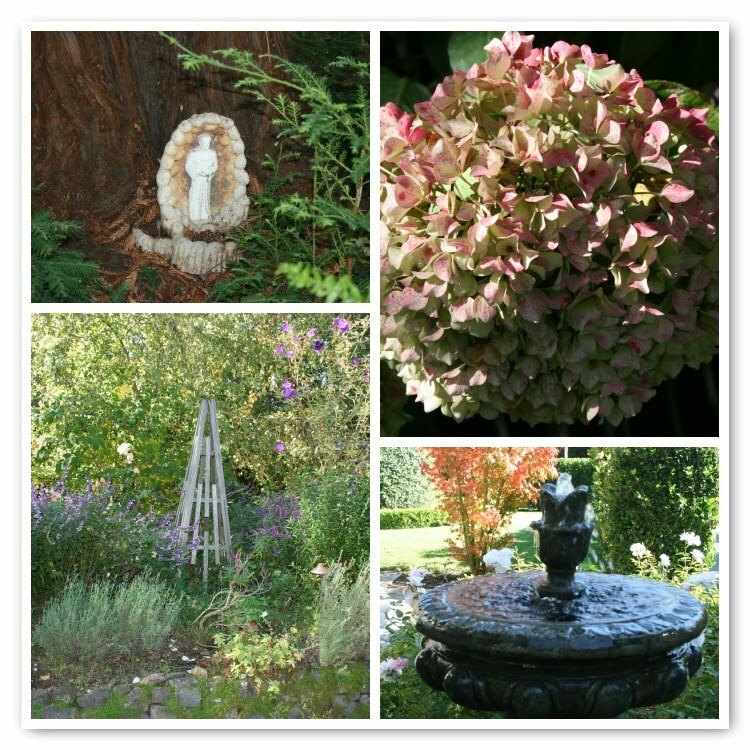 A fountain, birdbath, obelisk or even a hidden St. Francis at the base of a tree plays an important role in the garden when it starts to fade. I particularly love this St. Francis statue. He is hidden at the bottom of a 100 year old redwood at the edge of our house. I like to think he is watching over the squirrels and birds that live in that magnificent tree. The glorious Autumn Garden complete with it's own "cast of characters"! The wall fountain is one of my favorites as it attracts a lot of hummingbirds. Look closely: there are two yellow finches perched on the ledge! 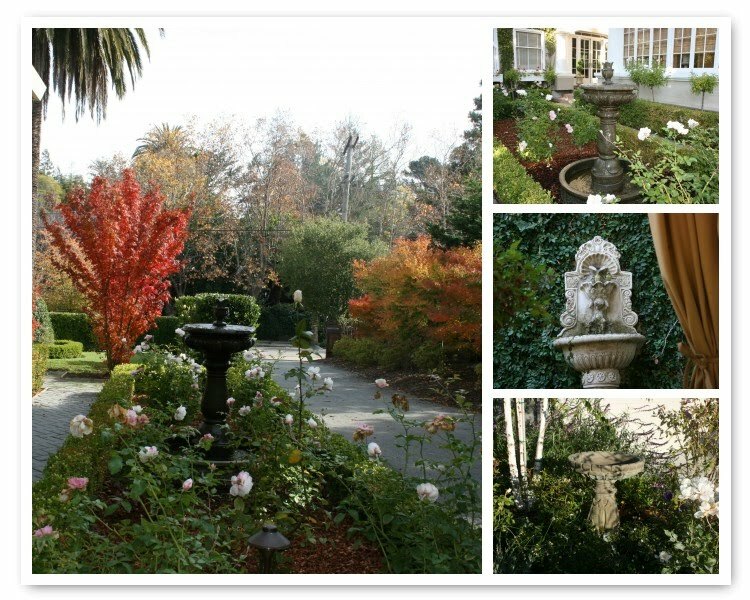 Your garden is beautiful - thanks for sharing it with us. you have a beautiful home and garden - you are so lucky - enjoy it !!! Your own olive oil! I can't wait to taste it. Both homes are stunning. I love the way you use every resource, French antiques, Ralph Lauren and Target. A woman after my own heart.